The changes that occur with aging can lead to problems with a person’s ability to move around, or mobility. Mobility problems may be unsteadiness while walking, difficulty getting in and out of a chair, or falls. 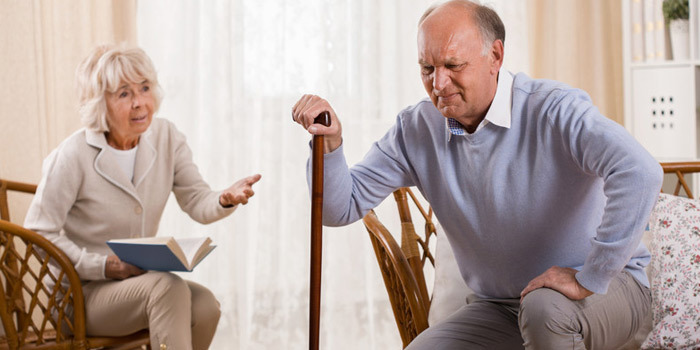 Muscle weakness, joint problems, pain, disease, and neurological (brain and nervous system) difficulties-common conditions in older people-can all contribute to mobility problems. Sometimes several mild problems occur at one time and combine to seriously affect mobility. The number one mobility problem that older people experience is falls. Falls result in broken bones, bruises, and fear of falling. Older bones break more easily than younger bones and they heal less quickly and not as completely. If a hip is fractured, canes, walkers, or wheelchairs might be needed permanently. Falls are a major cause of injury and death, so prevention is important. As mentioned, in order for the CRA to determine Disability Tax Credit eligibility, Part B of the DTC application must be filled out completely and correctly by the health practitioner most familiar with your situation. A relevant health practitioner may include an MD, a physiotherapist, an occupational therapist an optometrist an audiologist or anyone else with specific, specialized knowledge of your case. The medical practitioner must take care to fill in all required fields and provide any supporting information CRA may request or require. Failure to comply with CRA requests or requirements will likely lead to the application being rejected. To apply, our experts will assist you in filling out form T2201 where you will need to get your medical practitioner to complete this form. This will ask your doctor to describe how you are impaired by your disability. It is important to be descriptive in this section as a patient can be affected in a variety of ways by degenerative disc disease.